Richard Lloyd Sherman is a seasoned and experienced trial attorney. 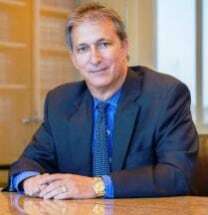 He specializes in commercial litigation, business litigation, defamation, slander and libel, business torts, labor and employment, intellectual property, real estate, entertainment, trademark and copyright, trusts and estates, personal liability and malpractice, sports, personal injury, and music. Mr. Sherman received a B.A. from University of Southern California in 1979. While studying at USC, Mr. Sherman was inducted into Phi Beta Kappa and Phi Kappa Phi and served as the Chief Justice of the USC Judicial Council. Mr. Sherman received his J.D. from the University of California at Los Angeles (UCLA) School of Law in 1982. While completing his law degree, he was a member of the UCLA-Alaska Law Review and the UCLA Moot Court Honors Program. Mr. Sherman has been practicing law since 1982, when he was admitted to the State Bar of California, the United States Court of Appeals, Ninth Circuit, and the United States District Courts for the Central, Northern, Southern, and Eastern Districts of California. In 1993, he was admitted to the Commonwealth of the Northern Mariana Islands and the United States District Court for the Southern District of Texas in 2011. He is also admitted to the United States Tax Court. He is a member of the Los Angeles County Bar Association and Beverly Hills Bar Association. Mr. Sherman holds an "AV" rating from Martindale-Hubbell for outstanding legal ability and professional ethics. Mr. Sherman has handled major cases. His largest jury verdict was in 2000 when his clients were awarded in excess of $14,000,000 against Death Row Records; including $10,000,000 in punitive damages, the 8th largest punitive damages award in California. Mr. Sherman's legal career has also produced other numerous victories in various areas of the law. He is credited for creating new law in such cited opinions as Mike Davidov Co. v. Issod, 78 Cal. App. 4th 597 (2000) and Marra v. Mission Foods, 19 Cal. App. 4th 724 (1993).